Gin Hot Water Bottle Cover. Rejoice! 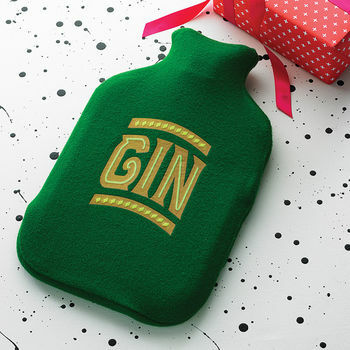 A new place to store gin! An original design by Twisted Twee. 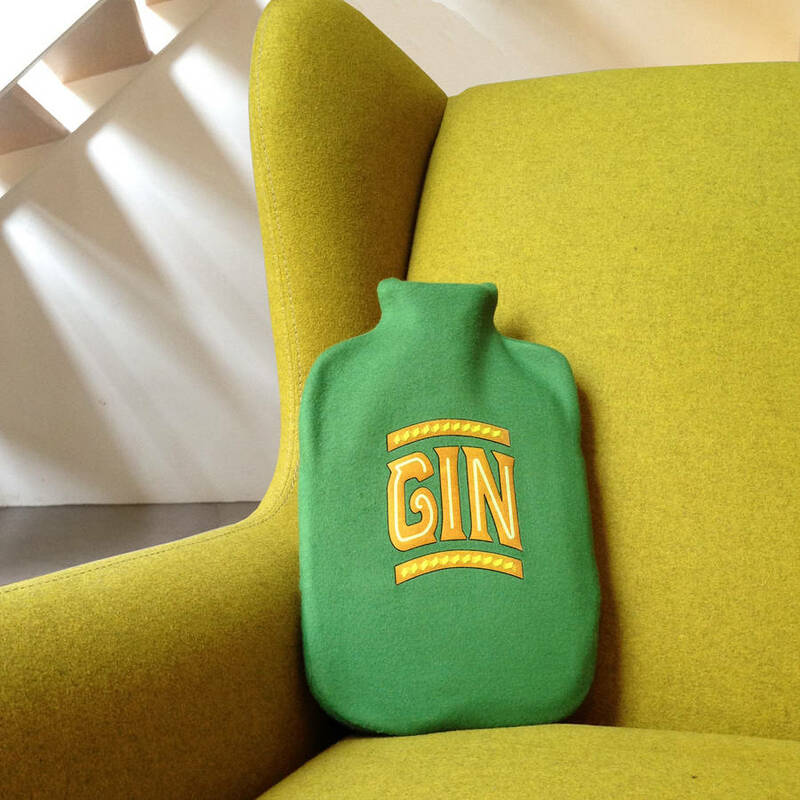 Who wouldn't be grateful for a new, ingenious place to store their gin supply? 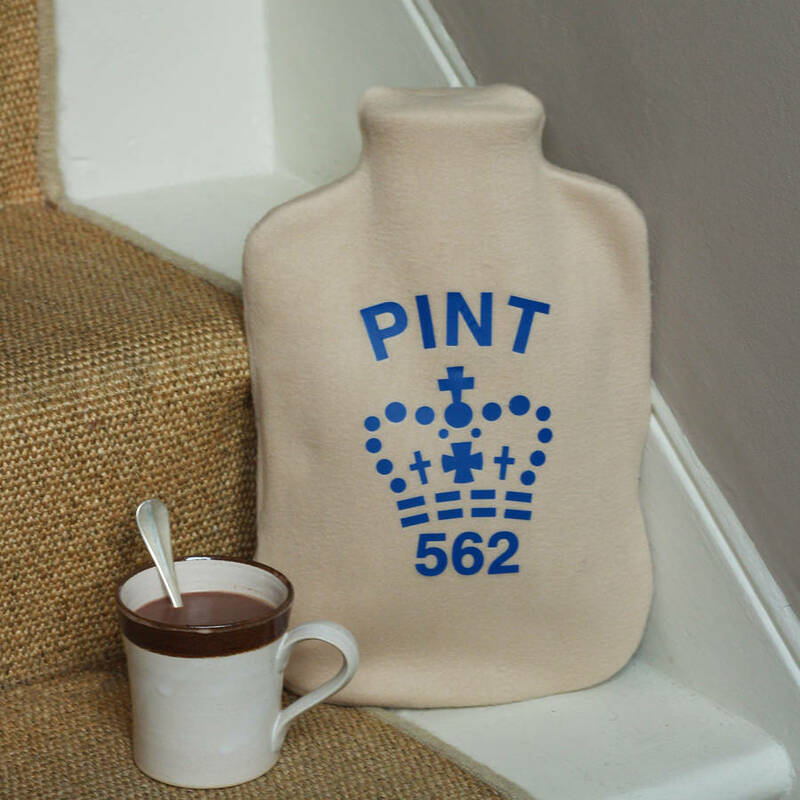 This particular take on a traditional bottle will cheer up anyone with a tummy ache or needing to heat their extremities. Either slung on a bed or tucked on the couch, it makes a lovely statement piece. 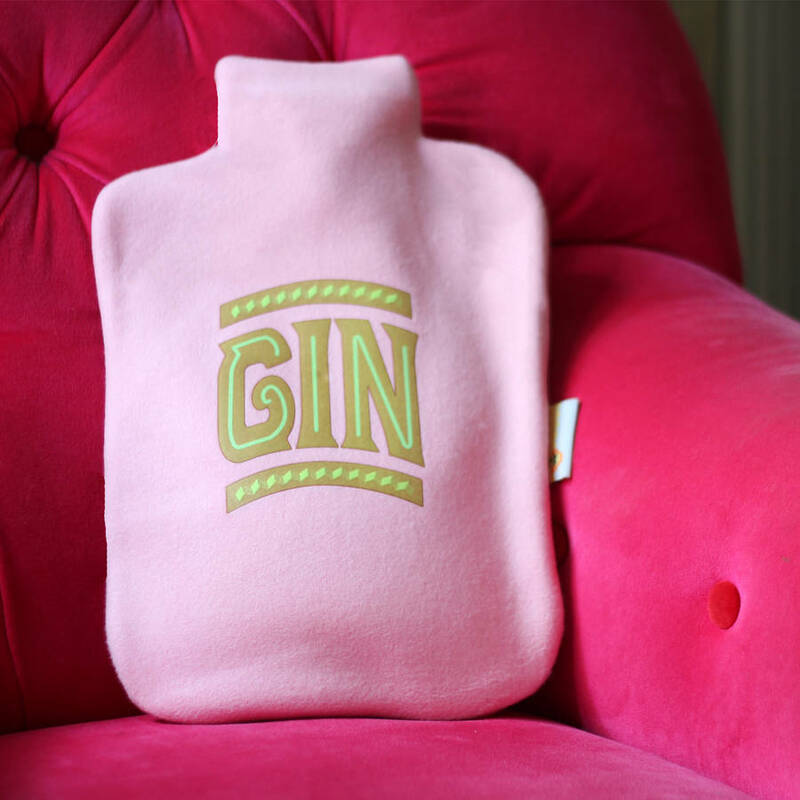 A hot water bottle can be included for an extra £10 but, sadly, the gin cannot. 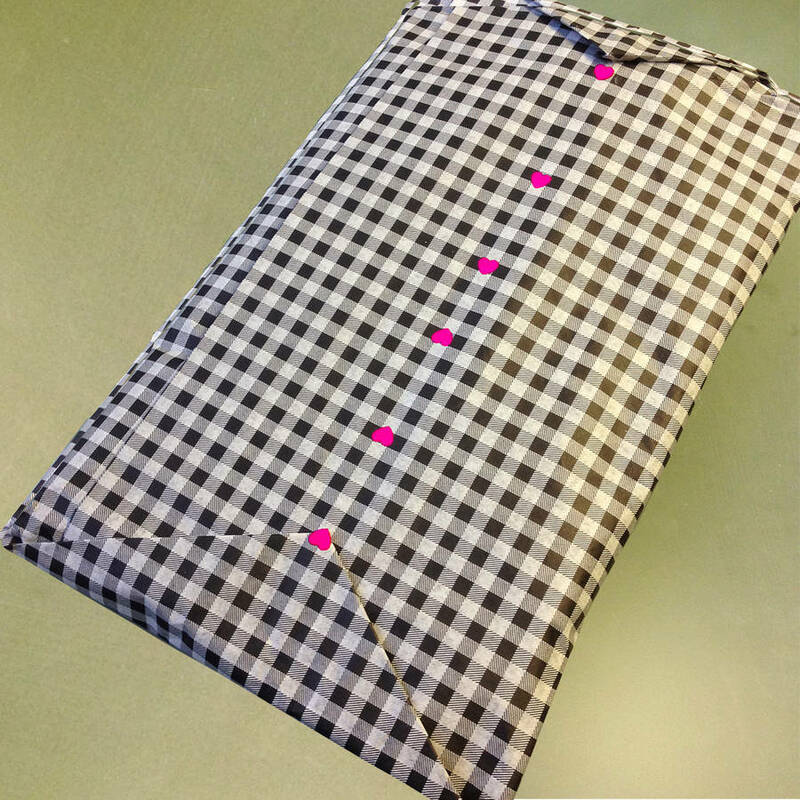 The covers have an envelope opening at the back making it easy for the bottle to fit inside. The cover fits any standard sized water bottle. 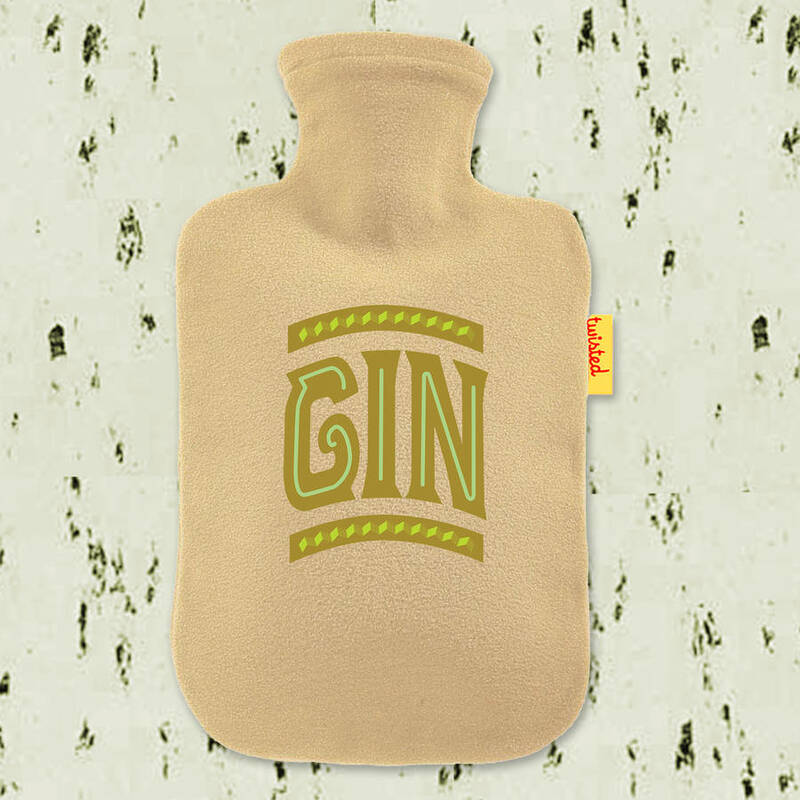 We have the natural companion to our Gin bottle - The Pint hot water bottle. Which fortuitously takes exactly a pint. 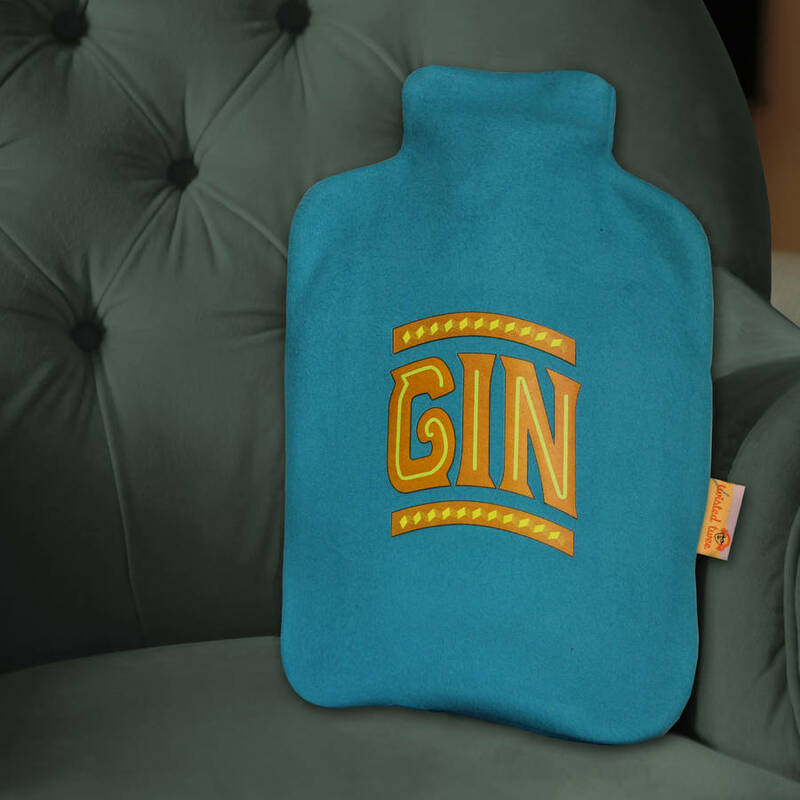 The GIN design looks fab on a range of colours: blue, green, pale pink or cream. The Pint bottle looks smartest in cream. This product is dispatched to you by Twisted Twee Homewares.